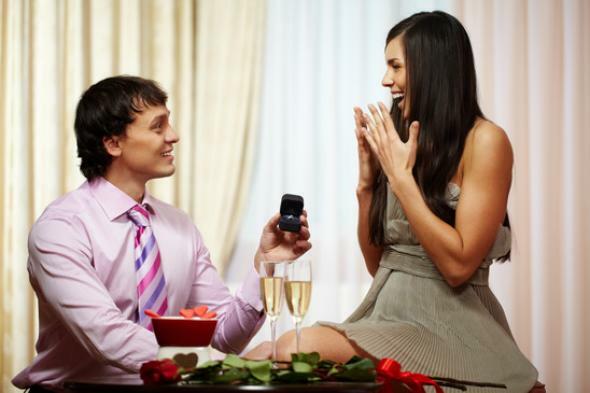 Once you’ve decided to propose the excitement might lead you to blurt out the news to friends and family. However, the more people that know, the more chance there is that someone will let it slip to your girlfriend. So just tell your cat or a photo of your girlfriend if you have to tell someone. Only ask her father for his blessing if you’re sure he’s not going to give the game away. If you want ring buying advice from her best friend, think about how likely she is to gossip about it before the big day. A lot of people can’t keep a secret so if you don’t trust anyone to keep quiet, you’re best to arrange things on your own. Try to take a few hours off work to take care of things like picking up the ring or meeting with her father. You don’t want to have to explain where you’ve been and you certainly don’t want her thinking you’re up to something. Another special occasion can make a great cover story for your proposal. Perhaps you want to go out for dinner because it’s her birthday. Or maybe you’re travelling somewhere nice for a friend’s wedding and you can use that opportunity for a romantic proposal? Finding a plausible cover story will make keeping your secret a lot easier, even if it means waiting a few extra weeks. Your girlfriend may have dropped hints about the ring she’d like in the past but now is not the time to bring it up. Ring questions combined with any mildly suspicious behaviour and the cat will be out of the bag. If you trust her best friend ask her opinion. Try to pocket a ring your girlfriend doesn’t wear very often to get her size. If the ring is being delivered make sure it’s not to your address if she lives there. If you have a joint bank account, find another way to pay for the ring even if it means opening a new credit card that you pay off as soon as you’re engaged. If in doubt about the ring get a temporary proposal ring and take her shopping afterwards. If you’re browsing restaurants, hotels, or locations for your proposal online be sure to clear your browsing history. If you print off booking confirmations or receive anything through the post, make sure you hide it away quickly somewhere that she never looks. As soon as you do something out of the ordinary she’ll get suspicious, especially if you’ve recently talked about getting married. For that reason thinking of a romantic and personal proposal that doesn’t break too much with your usual routine can help you to make it a surprise. Check your calendar for any occasions you could make use of, or book a trip that the two of you have been talking about for ages. A local proposal is the easiest to keep quiet and can be just as intimate as proposing in another city or country, especially if you know somewhere close by that is special to her and that the two of you go often. Resist the temptation to drop hints that you’re planning a surprise. This should be a special time for her so don’t take away her excitement.